GolTV en Español is a football-centered channel, which can be seen by fans living in the United States in Spanish. GolTV en Español's programming is also available in English, given that this network runs the same shows and games in two different channels in some cable and satellite packages. Other carriers use one broadcast for this channel, but offer SAP technology to make both broadcasts available. 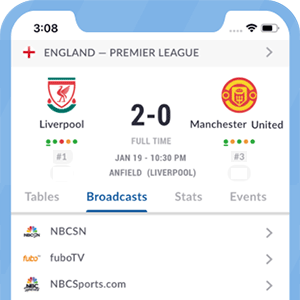 Gol TV en Español's programming might include games from some top-tier leagues in Europe and some second division matches from CONCACAF-based countries, such as the U.S. and Mexico. *Got itLive Soccer TV does not provide GolTV Espanol live streaming. The information provided on this page is simply GolTV Espanol soccer TV schedule. GolTV USA has acquired the broadcast rights in the USA for the Portuguese Primeira Liga - Liga Nos. The deal runs from the 2017-18 season until the 2019-20 season and includes both English and Spanish-language rights.